A garland of flowers covers you, blinds you, all but smothers you, and binds you to us, our chosen King; each petal paper-thin, yet in their thousands, like the pages of a heavy tome, a great weight for you to carry. 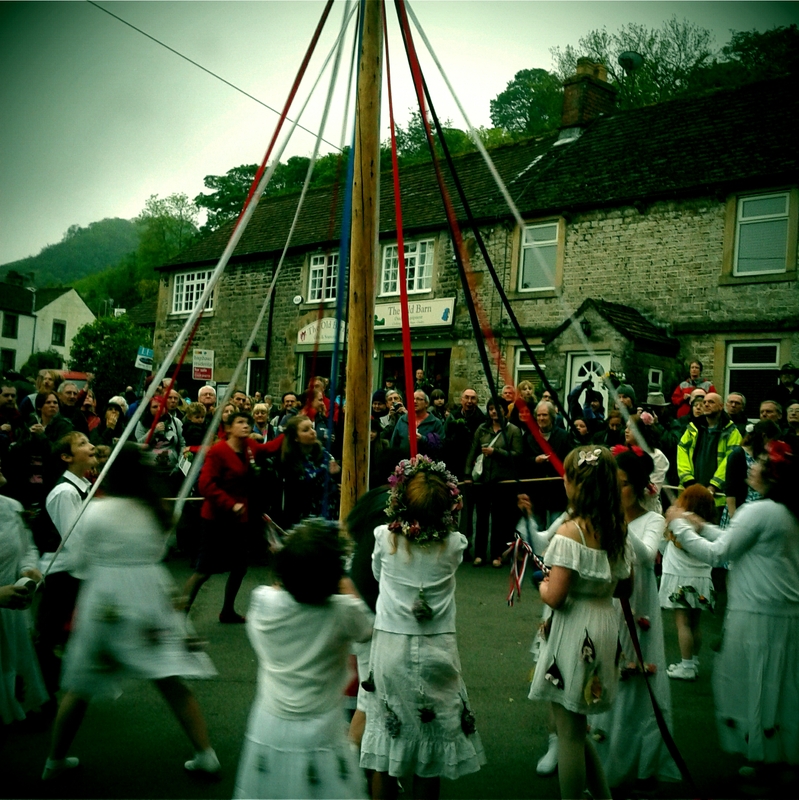 Garland Day – or ‘The Ancient Castleton Garland Ceremony’ – happens every year on Oak Apple Day (29th May) in the Derbyshire village of Castleton. This year friends of mine drove me out there, and it was a low-key but magical evening. We watched the King, sat on a huge shire horse and wearing his head-to-waist flower garland. He was led along the streets of the village, accompanied by a Lady, sitting side-saddle atop a similar horse. A retinue of girls in white dresses that were later to dance around a Maypole, followed, and a brass band playing the same simple tune over and over again. After the procession, before the Maypole dancing, the Garland was hoisted up the Church Tower. Mostly the people watching were local villagers, with a handful of people like us who’d come from further afield. There was nothing solemn or ceremonial about the event, but the repetition of the tune, the costumes and the village setting had a mesmerising effect. I spent last weekend in the Shropshire hills, at Sin-Eater Festival near the little village of Ratlinghope. I drove there on a sunny afternoon, up a narrow winding road, into one of the wildest and most beautiful parts of England I’ve ever been to. I felt all alone in a magical world, until, at the top of a hill, I emerged from the wilderness and found myself at the festival. It took place at a pub called The Bridges, by a river and surrounded by meadows. In the meadow opposite the pub stood a giant wooden hare. The sun blazed down on us in this idyllic location all weekend and the music was great, making Sin-Eater my new favourite festival. 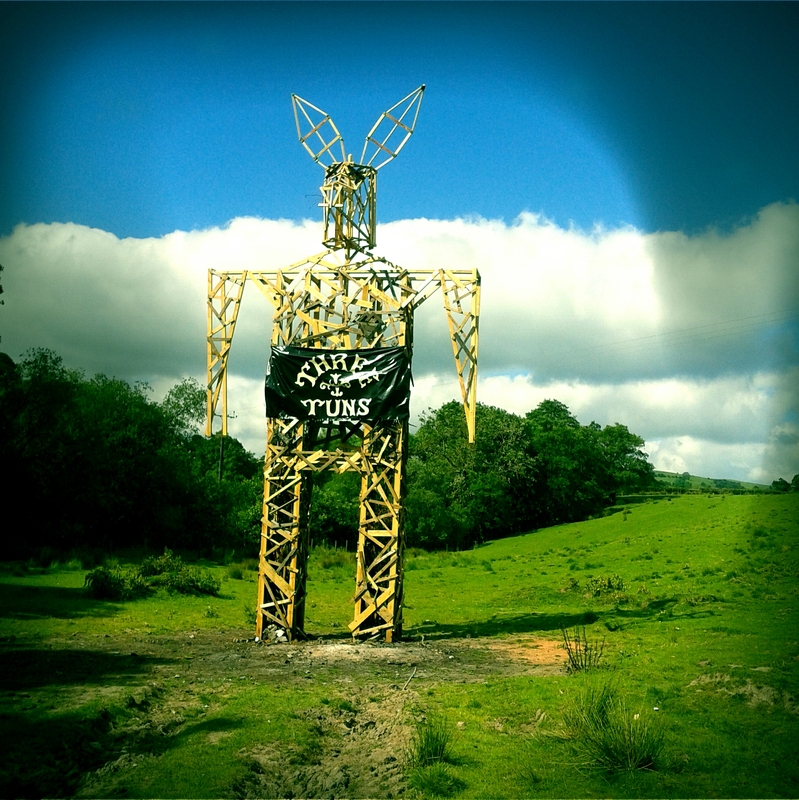 The wooden hare towered over us. At the festival desk there was a Sin Box into which people posted pieces of paper with their sins written on. The Sin Box was to be placed in the belly of the wooden hare and ritually burned, taking away our sins in the process. This happened on saturday night. We were taught a chant to sing as we all processed out from the stage area, following Dead Rat Orchestra over the river, to stand around the hare. We sang our chant as the Sin Box was carried up a ladder and placed inside the hare. Then we watched as the hare was set alight. It was an enjoyable, Wicker Man-esque spectacle, and it added an extra dimension to an already great festival. 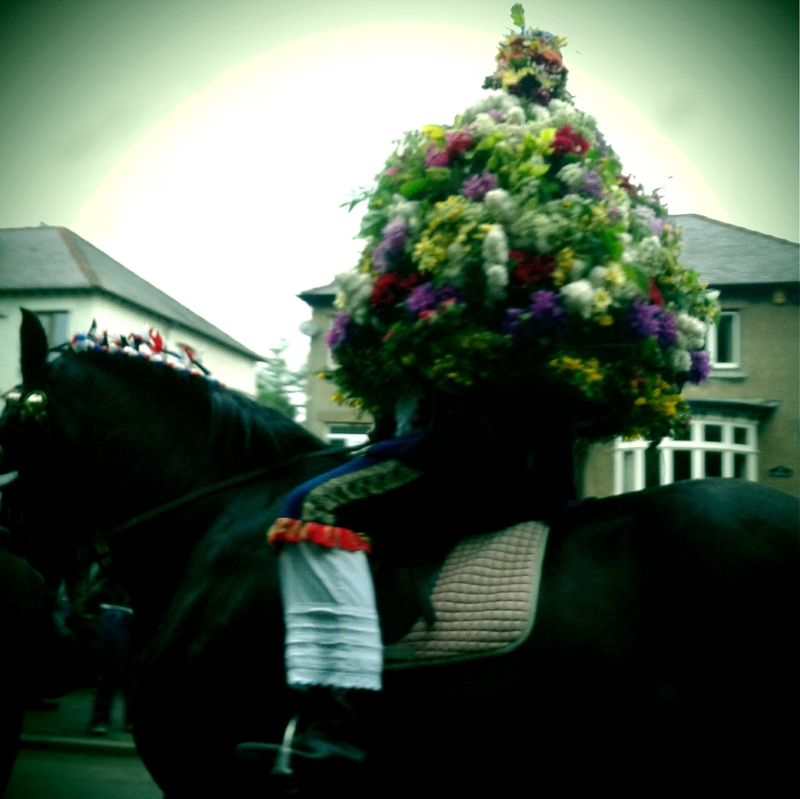 Yet as a ceremony it lacked the magic of Garland Day, and I wondered why. 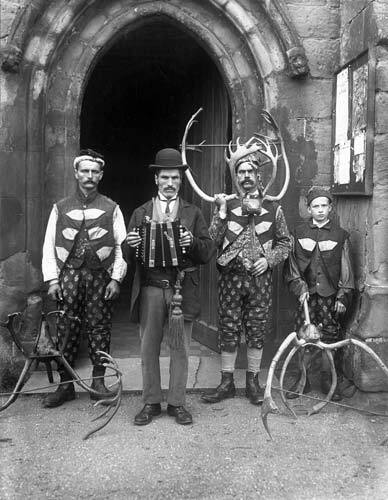 It was fun, but failed to evoke the mystery and magic I experienced at Garland Day, and at the Abbots Bromley Horn Dance the year I went to that. What was lacking? What were the differences between Garland Day and the burning of the hare at Sin-Eater? There’s no ambiguity and no mystery left if we attribute meaning to our rituals precisely, and it’s mystery that creates the magic: we sense that the ritual means something but we’re not sure what. Maybe it just takes a while for this to happen: maybe the meaning behind Garland Day was just as specific at the beginning. Maybe over time things change subtly, unnecessary details drop out of the picture, and our ceremonies bed down and become traditions.